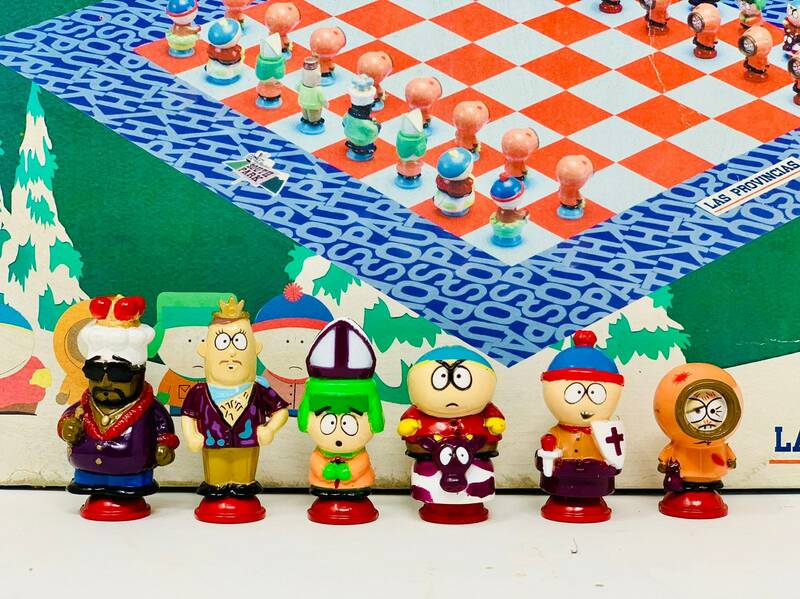 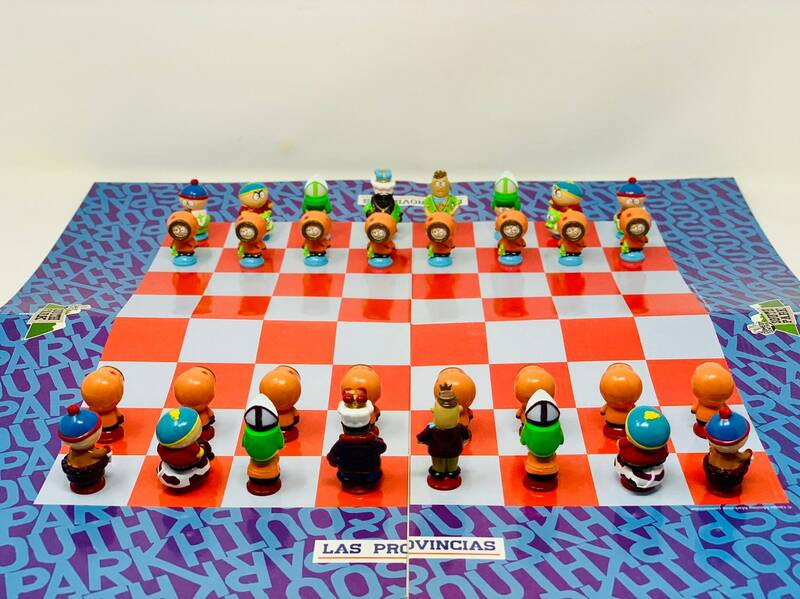 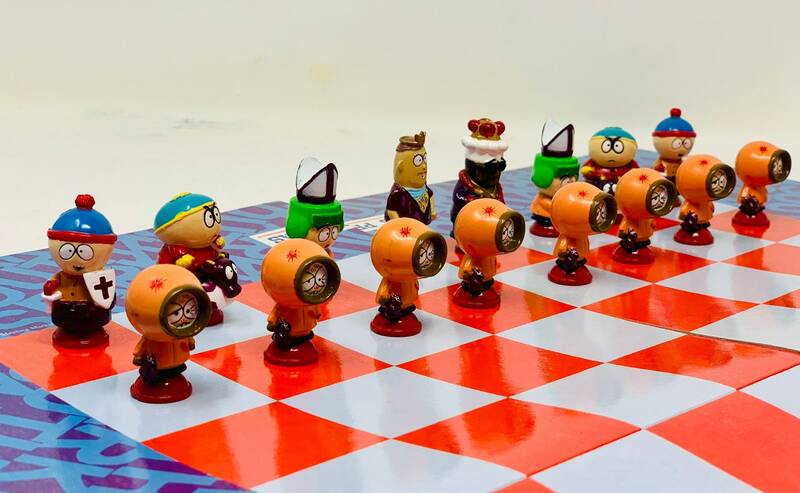 Fun and rare official chess from the South Park animation series Rare Chess for collector of the prestigious series of black humor. 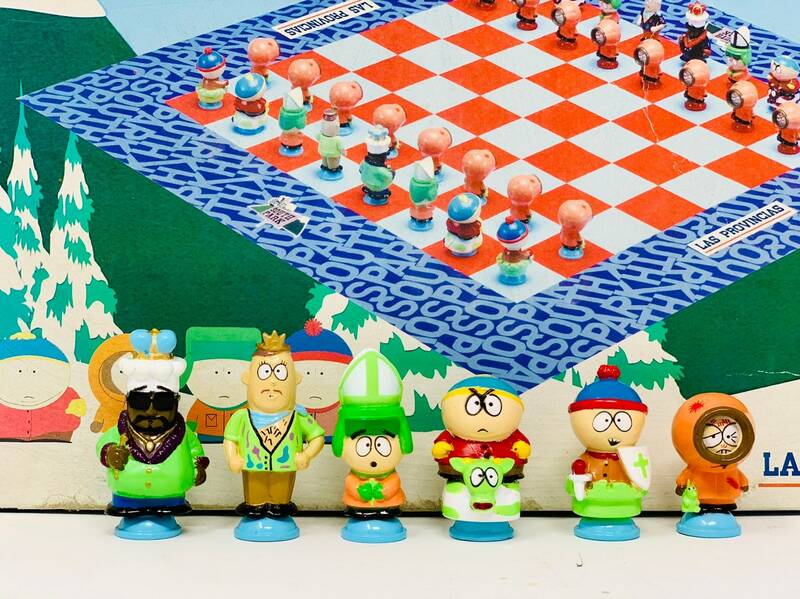 Some fun figures of nice and fun animation design. 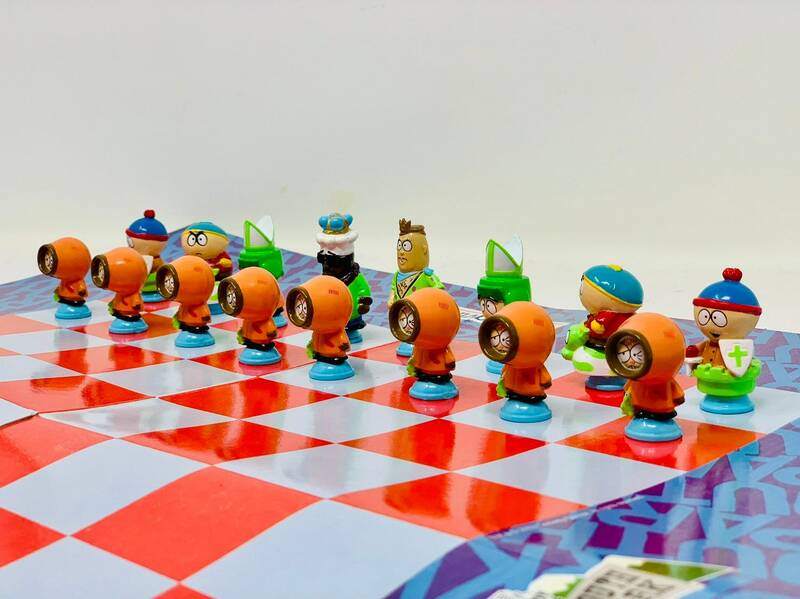 Some very resistant pieces with bright colors with the main characters of the original series. 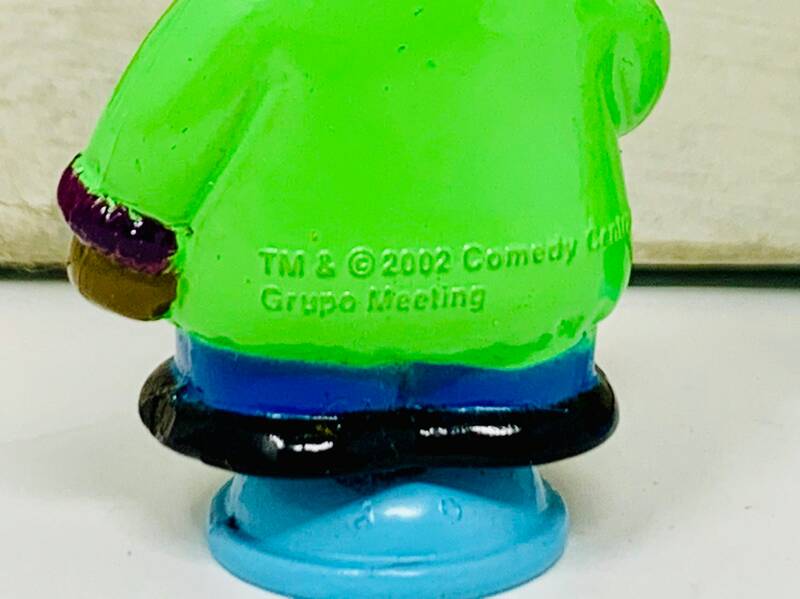 A very collectible and fun marvel. 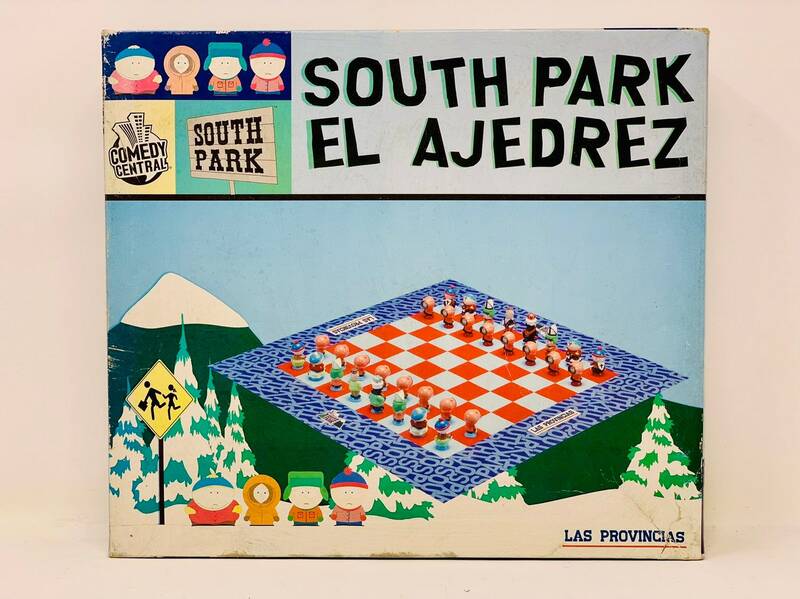 Includes brand game board box. 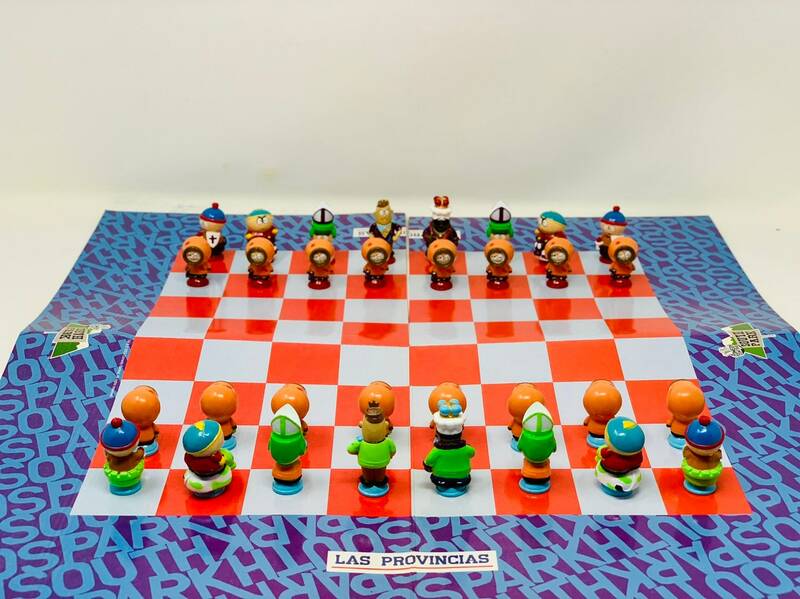 Measures: 45x35cm; King 8 cm approximately.